, it marks a time when people start to think about change both professionally and personally. Making decisions about your life outside of work is primarily up to you, but when it comes to making decisions about your job most of us have less control. At least, within the confines of our current position. But there is one game-changing move that looms on the horizon for anyone dissatisfied with their current professional situation: job hopping. In case you haven’t heard the term yet,“job hopping” refers to the act of moving from company to company in less time than the average tenure. Depending who you ask or what industry you work in, you’ll get different answers on how long that actually is. In my experience, and based on the companies I work with, I would say leaving a position after less than three years – even in this job hopping economy – can be a red flag. Though it’s all in context. If you’ve been working for ten years and have a robust resume, leaving one position after a short tenure is probably not going to hurt you. Especially if you have a reasonable explanation. On the contrary, if you’ve been working for a total of five years and you’ve had multiple jobs already chances are someone is going to question it. The other exception is when you have been working a series of consulting assignments recently. Some people choose to consult, while others have been more or less forced to due to a temporary lack of full time positions in your area of expertise. If you have been consulting for a few years, there are ways to group them to make it look more like a longer term commitment in that case. I’m not going to chastise you if you have jumped around or if you’re thinking of doing it now. What I am going to do is try to educate you about why some people decide to leave a position before three years and how future employers may look at your work history if you job hop. Who job hops and why do they do it? There are a number of reasons why someone might decide to leave a position after a relatively short employment period. For example; the culture might be dissatisfying or even toxic, the opportunities for advancement or path to advance may have suddenly changed for the worse, or they may simply feel underpaid or underappreciated. In the past five to ten years as millennials have entered the workforce, I have seen job hopping become more and more common. That’s not to say it’s a millennials-only phenomenon, all age groups participate. Though it does seem to be more accepted by millennials. And in many ways, I can’t say I blame them. Millennials joined the workforce in a historically unique time – right as the great recession was settling in and really starting to damage our economy. Highly-qualified employees were being let go left and right. Well-paying jobs were in short supply. If you did manage to find an opening you were qualified for as a fresh-out-of-college candidate, you were facing some stiff competition from more experienced workers. And to make matters worse, job stability if you landed the position was practically non-existent. Limited advancement opportunities, stagnant wages, and virtually no feeling of job stability doesn’t create an environment of trust and loyalty. But we are now ten years from the start of the recession and how you behave in the corporate world does make a difference – including your average tenure. In spite of the economy stabilizing and many industries experiencing growth, the job hopping trend hasn’t slowed down. 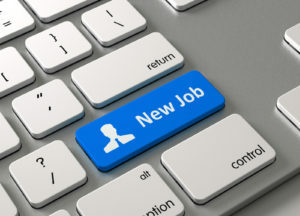 Thinking of job hopping? Know the risks. No one can force you to be satisfied with a position or even a particular career. Finding the right fit is as much an art as it is a science. Beyond the daily responsibilities, salary, and vacation time is a sea of intangible benefits and drawbacks to any given job. Weighing the pros and cons of a given job isn’t usually black and white, and neither are the reasons people decide to leave. Before you decide to leave your current position after a year or two, consider your past work history and the potential consequences of leaving so soon. When a prospective employer is looking over your resume, they’re looking at your credentials and education, your experience, and your job history. If they have another candidate that’s equally qualified and interviews as well as you, but you’re a job hopper and the other candidate isn’t, chances are in favor of the other candidate getting an offer. It’s just a safer bet for the company. The hiring manager knows there’s a higher likelihood they will recoup their training and onboarding costs by hiring an employee that has a track record of staying with companies longer. Now, if you’re an exceptional candidate and you possess highly-desirable, unique or difficult to train for knowledge and experience, an employer might overlook a few instances of shorter-than-average tenure. But even the most qualified, stand-out candidate can be weighed down by a consistently short or spotty work history. You shouldn’t rely on your outstanding qualities to outweigh the detrimental impact repeat job hopping can have on your resume. On the flip side, having an average tenure of more than three years at each employer can be a positive differentiator. If you’re thinking of leaving your current position, you don’t have to weigh the pros and cons alone. Our team at Coppertree Staffing can help you strategize your next career move and find the right position and company where you can truly thrive. Contact our team today to learn more; we’re here to help.